In 2008, Humana Marketpoint realized their message was not resonating with the Hawaii market. The team knew they needed an agency that understood the local market and had the expertise to grow their membership. heinrich & bullard was that agency. h&b demonstrated a deep understanding of the complexities of Humana’s business and forged strong relationships with the region’s sales and marketing teams. 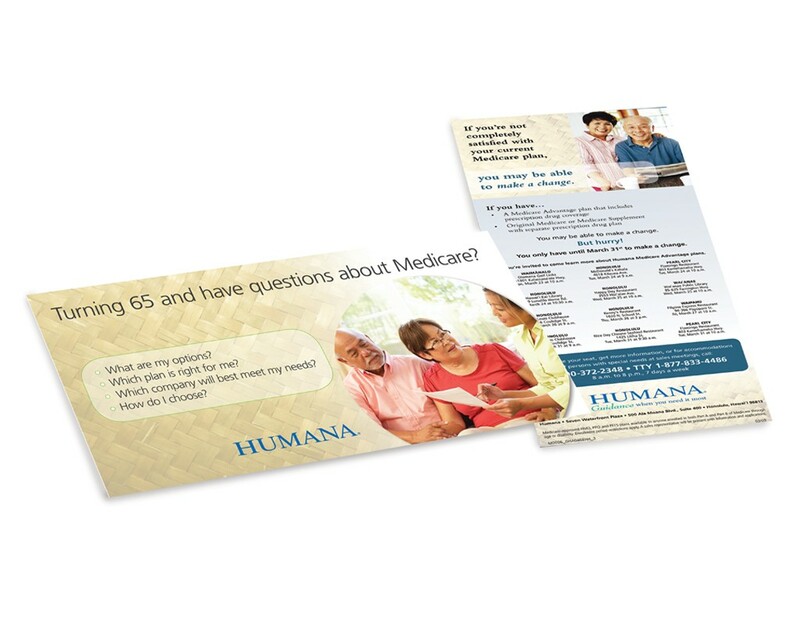 h&b helped grow Humana’s market share and provided exceptional service and support in every facet of the marketing plans. We provided them with a new look and added a strong Hawaii presence to the creative. We brought them into the local landscape with promotions, event and sports marketing sponsorships, along with PR. The combination of h&b’s DM experience and insight into the local market led to tremendous growth for Humana during the next AEP and OEP Medicare sales seasons. They doubled their sales in the first year. As a result of the success in Hawaii, Humana engaged heinrich & bullard and Hispanidad, our Hispanic advertising division, to provide services for their Southern California expansion, which went so well that h&b was awarded the entire Western region – a total of 10 states.